Elmer Harvey Westedt married Erma Korth. Elmer Harvey Westedt was born on 30 October 1918. He was the son of Hubert Westedt and Rosena Wiese. Elmer Harvey Westedt died on 24 May 1991 at age 72. Allen Westedt was born in 1920. Allen Westedt died in 1952. Married Name Her married name was Fick. Dorothy A. Westedt married Melvin Herman Fick. Dorothy A. Westedt was born on 15 July 1923. She was the daughter of Hubert Westedt and Rosena Wiese. Dorothy A. Westedt died on 12 October 2008 at Juneau, Wisconsin, at age 85. 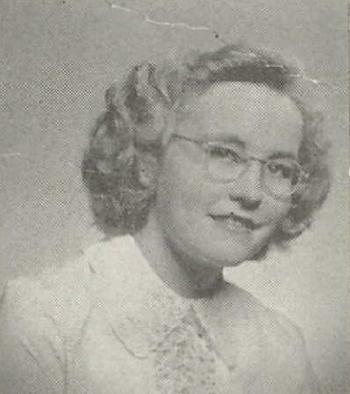 Dorothy A. Westedt graduated in 1942 at Reedsburg High School, Reedsburg, Sauk, Wisconsin. Melvin Herman Fick married Dorothy A. Westedt, daughter of Hubert Westedt and Rosena Wiese. Melvin Herman Fick was born on 24 May 1914. He died on 21 April 2009 at age 94. John Paul Toeder was born on 2 December 1948. He was the son of Elmer Toeder and Helen Dorathea Schenkat. John Paul Toeder died on 3 November 2012 at age 63 John P. Toeder, age 63, of Reedsburg, died on Saturday, November 3, 2012 at the Veterans Hospital in Madison following a long illness. He was born on December 2, 1948 in Reedsburg, the son of Elmer and Helen (Schenkat) Toeder. 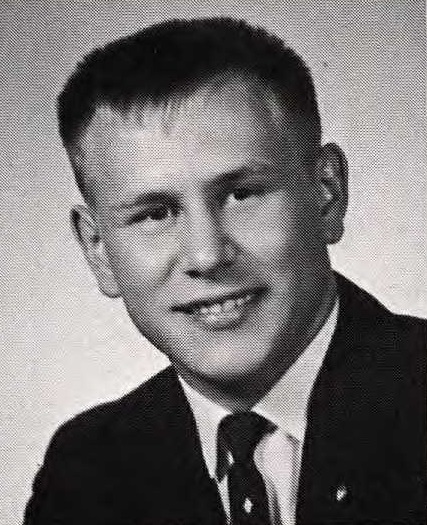 John was a 1967 graduate of Webb High School and later a graduate of the Sauk County Normal School. He was a veteran of the U.S. Air Force serving from December 1969 until July 1973. On October 7, 1972, he was married to the former Hazel J. Smith. John worked as a truck driver for many years. He later worked as a cash crop farmer until his retirement. John was an avid deer hunter. Survivors include his wife, Hazel; two brothers: Donald (Katholeen) Toeder, of Reedsburg and David (Karen) Toeder, of Reedsburg; his sister-in-law: Moira (Peter) Swift, of England; two nieces: Michele and Meredith; other relatives and friends. He was preceded in death by his parents. Funeral services will be conducted at 7:00 P.M. on Thursday, November 8, 2012 at the Hoof Funeral Home in Reedsburg with Pastor Dominic Guido officiating. Interment with military rites will be in St. Peter's Lutheran Cemetery at a later date. There will be a visitation from 4:00 P.M. until the time of the service on Thursday at the funeral home. The Hoof Funeral Home is serving the family. John Paul Toeder graduated in 1967 at Webb High School, Reedsburg, Sauk, Wisconsin. Francis Spurrier died on 8 February Francis E. Spurrier was born May 23, 1883 in Woodland township, the son of John and Eliza Spurrier. On Dec. 23, 1910 he was married to Beatrice Bradley, a union that was blessed with three children. He was an employee of the Badger ordnance works when the powder plant was first built. He had also worked at the blacksmith shop in LaValle. He died Saturday, Feb. 8, in a local hospital after a long illness. Surviving besides his wife are two daughters, (Sylvia) Mrs. Arnold Schwartz, 436-5th St; and (Delores) Mrs. Lyle Gudenschwager, LaValle; two grandchildren; and a sister, Mrs. Alice Stanley, Richland Center. Services were held Monday, Feb. 10, in the Hammer funeral home with Rev. Kenneth Whitley, pastor of the Advent Christian church at LaValle, officiating, and burial was in Oak Lawn cemetery, LaValle. He was born on 23 May 1883 at Wisconsin. He married Beatrice Bradley on 23 December 1910. Married Name 23 December 1910 As of 23 December 1910,her married name was Spurrier. Beatrice Bradley married Francis Spurrier on 23 December 1910. 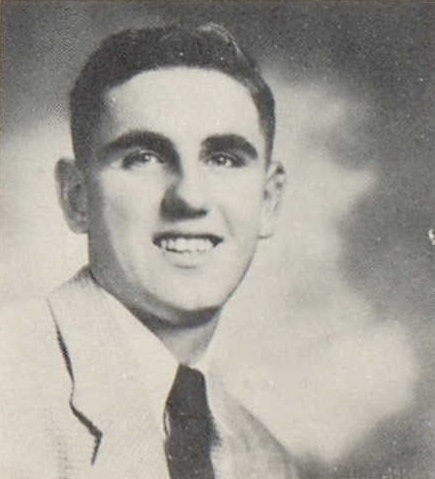 Virgil Spurrier was the son of Francis Spurrier and Beatrice Bradley. Virgil Spurrier died before October 2012. Married Name Her married name was Schwartz. 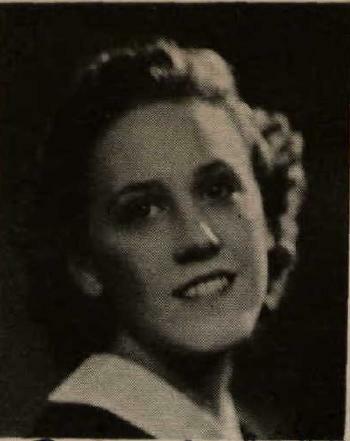 Sylvia Spurrier was the daughter of Francis Spurrier and Beatrice Bradley. Sylvia Spurrier married Arnold Schwartz. Sylvia Spurrier died before October 2012. Arnold Schwartz married Sylvia Spurrier, daughter of Francis Spurrier and Beatrice Bradley. Victor Lucht was born circa 1914. He married Frieda Schlieckau, daughter of August Schlieckau Sr. and Martha M. Wawrock, on 25 June 1943. Victor Lucht died on 28 September 1972 at Sauk, Wisconsin, Victor Lucht obituary. Arnold Harder married Hilda Grosskrueger. Married Name Her married name was Harder. Hilda Grosskrueger married Arnold Harder. Married Name Her married name was Hamburg. Audrey Harder and Roland Hamburg were divorced. Audrey Harder married Roland Hamburg. Audrey Harder was born on 6 June 1931 at Wisconsin. She was the daughter of Arnold Harder and Hilda Grosskrueger. Audrey Harder died on 16 July 2013 at Illinois at age 82 Audrey L. Hamburg, 82, of Winnebago, died Tuesday, July 16, 2013, in OSF St. Anthony Medical Center, Rockford. Born June 6, 1931, in Reedsburg, Wis., the daughter of Arnold and Hilda (Grosskrueger) Harder. Graduated from Reedsburg High School in 1948, Sauk County Teacher's College in 1950, and later obtained her Bachelor degree in special education at UW Platteville. When Audrey came to Winnebago, she first taught fifth grade and then developed and taught the special education program for the Winnebago School District, retiring in 1993. She was a member of Trinity Lutheran Church, Rockford, Reedsburg VFW Ladies Auxiliary Post 1916, and Delta Kappa Gamma, a professional teacher's sorority. Audrey enjoyed reading and was an extensive traveler, with the goal of traversing all seven continents. Audrey is lovingly survived by her sister-in-law, Irma Harder of Reedsburg, nephews, Robert (Kim) Harder of Calif., Douglas (Lori) Harder of Reedsburg and William Harder of Texas; niece, Sue (Daniel) Brylla of Reedsburg; great-nieces, great-nephews, a great-great-niece; and many dear friends. She was predeceased by her parents; brothers, Herbert, Rupert, Melvin, and Kenneth; nephew, Dennis Harder; former husband, Roland Hamburg; and dear friend, Murial Sorby. Service is at 2:00 p.m., Friday, July 19, 2013, in Genandt Funeral Home, 602 N. Elida St., Winnebago, with visitation from 1:00 p.m. until service time; the Rev. Jay Quinn, pastor of Trinity Lutheran Church, will officiate. Cremation rites have been accorded. Graveside service is at 11:00 a.m., Saturday, July 20, 2013, in St. Peter's Cemetery, Loganville, Wis.
Audrey Harder graduated in 1948 at Reedsburg High School, Reedsburg, Sauk, Wisconsin. Roland Hamburg and Audrey Harder were divorced. Roland Hamburg married Audrey Harder, daughter of Arnold Harder and Hilda Grosskrueger. Roland Hamburg was born on 16 September 1927. He died on 27 July 2003 at age 75. Dennis Harder was the son of Kenneth H. Harder and Irma M. Hemberger. Dennis Harder died in March 1998. Rupert A. Harder was born on 21 January 1925. He was the son of Arnold Harder and Hilda Grosskrueger. Rupert A. Harder died on 10 June 2012 at age 87 Rupert A. Harder, age 87, of Reedsburg, died on Sunday, June 10, 2012 in the Reedsburg Area Medical Center. He was born on January 21, 1925 in Reedsburg, the son of Arnold and Hilda (Grosskrueger) Harder. Rupert was a veteran of the Korean Conflict serving with the U.S. Army. He worked as a heavy equipment operator with various construction companies until his retirement. Rupert was a lifelong member of St. Peter's Lutheran Church in Loganville. He was also a member of the Reedsburg V.F.W. Post 1916. Survivors include his brother: Kenneth (Irma) Harder, of Portage; his sister: Audrey Hamburg, of Freeport, IL; three nephews: Robert (Kim) Harder, of California; Douglas (Lori) Harder, of Reedsburg and William Harder, of Texas; his niece: Sue (Daniel) Brylla, of Reedsburg; great nieces and nephews; other relatives and friends. He was preceded in death by his parents; two brothers: Herbert and Melvin; and by his nephew: Dennis Harder. Funeral services will be conducted at 11:00 A.M. on Friday, June 15, 2012 at St. Peter's Lutheran Church in Loganville with Pastor Christopher Miller officiating. Interment with military rites will be in St. Peter's Cemetery. The family will receive friends from 5:00 P.M. to 8:00 P.M. on Thursday at the Hoof Funeral Home in Reedsburg. The Hoof Funeral Home is serving the family. Herbert Harder was born on 22 May 1921. Herbert Harder died on 13 February 1988 at age 66. Herbert Harder graduated in 1939 at Reedsburg High School, Reedsburg, Sauk, Wisconsin. Melvin Harder was born in 1930. Married Name Her married name was Horstmann. Emma Ribbke married August Albert Horstmann, son of Augustus Horstmann and Emma Rathjen. Emma Ribbke was born on 15 January 1912. She was the daughter of Fredrick Ribbke and Anna Gause. Emma Ribbke died before 1990. Name Variation Lester Lee Horstman was also known as Horstmann. 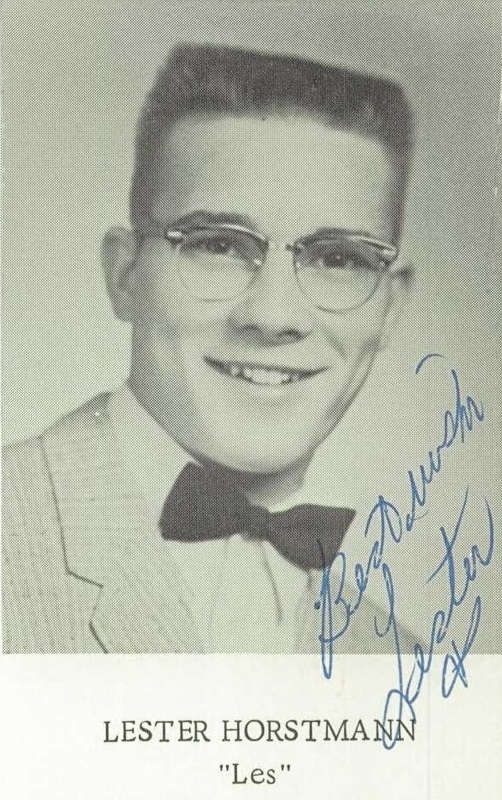 Lester Lee Horstman was born on 13 November 1941. He was the son of August Albert Horstmann and Emma Ribbke. Lester Lee Horstman died on 2 July 2012 at age 70 Lester L. Horstman, age 70, of LaValle, died on Monday, July 2, 2012 in his home following a courageous battle with ALS - Lou Gehrig's Disease. He was born on November 13, 1941 in the Town of Westfield, Sauk County, the son of August A. and Emma (Ribbke) Horstmann. 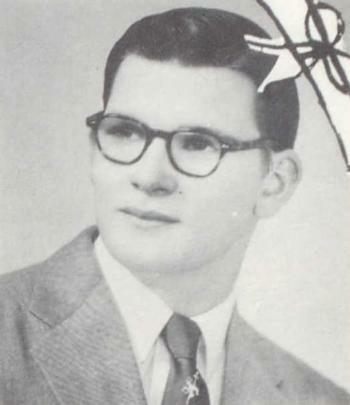 Les was a 1960 graduate of Webb High School. He served for three years with the U.S. Marine Corps during the Vietnam era in San Diego, California. On September 18, 1965, he was married to the former Marilyn D. Denzer. Les was a tool and die maker for over thirty years until his retirement. He enjoyed carpentry, fishing and being on the computer. Survivors include his wife, Marilyn; three children: Greg Horstman, of Baraboo; Dale (Heidi) Horstman, of Baraboo and Sandy Horstman, and her husband, Jonathan, of Baraboo; six grandchildren: Nicholas and Colin Bourdeau, Erika and Megan Horstman, Chelsea and Jordan Duffield; one brother: Mervin (Sandy) Horstman, of Reedsburg; other relatives and friends. He was preceded in death by his parents; one granddaughter: Racheal Horstman; one sister: Arlene Giebel and two brothers: Arnold and August W. Horstman. Funeral services will be conducted at 11:00 A.M. on Saturday, July 7, 2012 at St. John's Lutheran Church in Rock Springs with Pastor David Karow officiating. Interment with military rites will be St. John's Cemetery. The family will receive friends from 5:00 P.M. to 7:00 P.M. on Friday at the Hoof Funeral Home in Reedsburg. In lieu of flowers, memorials to St. John's Lutheran Church in Rock Springs would be appreciated. The Hoof Funeral Home is serving the family. Lester Lee Horstman graduated in 1960 at Webb High School, Reedsburg, Sauk, Wisconsin. Arnold Horstman was the son of August Albert Horstmann and Emma Ribbke. 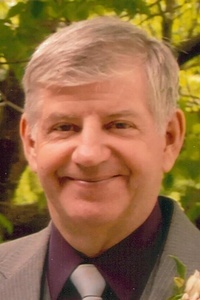 Arnold Horstman died before July 2012. August W. Horstmann was born on 26 September 1936. August W. Horstmann died on 13 June 2007 at age 70. August W. Horstmann graduated in 1955 at Reedsburg High School, Reedsburg, Sauk, Wisconsin. Peter M. Fargen was born on 7 February 1949. He was the son of Martin F. Fargen and Edith M. Faber. Peter M. Fargen died on 24 May 2012 at age 63 Peter M. Fargen, age 63, of Bear Valley, died unexpectedly on Thursday, May 24, 2012 at the Veterans Hospital in Madison. He was born on February 7, 1949 in Richland Center, the son of Martin and Edith (Faber) Fargen. Pete was a veteran of the Vietnam War and was very proud to have served his country. On November 11, 1972, he was married to the former Mary L. Foss. Pete retired from Kraemer Brothers and spent his last days living life to the fullest. He will be remembered by many as "Mr. Fix-it." Survivors include his wife of forty years, Mary; his mother: Edith Fargen, of Readstown; four children: Matthew (Shar) Fargen, of Pennsylvania; Daniel (Shannan) Fargen, of Boscobel; Martin (Amber) Fargen, of Avoca and Rebecca Fargen, of Connecticut; four grandchildren: Darnel, David, Trista and Isaiah; eight brothers and sisters: Colleen Fuhrman, of Florida; Pauline (Chuck) Fuhrman, of Reedsburg; Mary Pat (John) Kaul, of Bear Valley; Pat Fargen, of Viola; Julie Ripley (Al Bailey), of Cazenovia; Peggy (Carl) Hull, of Richland Center; Mike (Julie) Fargen, of Readstown and Lori (Gene) Roberts, of Lone Rock; his brothers and sisters-in-law: Lanita (Pat) Hemberger, of Ohio; Bob (Jeno) Foss, of Reedsburg; Rynie (Sheri) Foss, of Iowa; Joe (Angie) Foss, of Ohio; Geri (Harley) Greenwood, of Montana; George (Barb) Foss, of Reedsburg and John (Candee) Foss, of Sullivan; his beloved dog, Sugar; many nieces and nephews; other relatives and a host of friends. He was preceded in death by his father, Martin; his brother: David Fargen; and his father and mother-in-law: Ervin and Anna Foss. A Mass of Christian Burial will be conducted at 1:30 P.M. on Monday, May 28, 2012 at St. Patrick's Catholic Church in Loreto with Father Lorin Bowens and Father Mike Resop concelebrating. Interment with military rites will be in Our Lady of The Fields Cemetery. There will be a visitation from 2:00 P.M. to 6:00 P.M. on Sunday and from 12:30 P.M. to 1:30 P.M. on Monday at St. Patrick's Catholic Church in Loreto. In lieu of flowers, memorials to St. Patrick's Bell Tower would be appreciated. The Hoof Funeral Home in Reedsburg is serving the family. Name Variation William L. Skinner was also known as Bill. William L. Skinner was born on 8 January 1932. He died on 3 February 1994 at age 62. William L. Skinner graduated in 1949 at Reedsburg High School, Reedsburg, Sauk, Wisconsin. Tom Crawford died before 2012. Herbert Phelan married LaVerne Geraldine Koenecke, daughter of Walter H. Koenecke and Esther A. Gundlach. Herbert Phelan died before 2012. Ruby Mary Koenecke died at died in infancy. She was born on 17 April 1923 at Sauk, Wisconsin. She was the daughter of Walter H. Koenecke and Esther A. Gundlach. Ruby Mary Koenecke was baptized on 10 June 1923 at St John Lutheran Church, Reedsburg, Sauk, Wisconsin. Married Name 4 November 1946 As of 4 November 1946,her married name was Decot. Frances A. Brown was born on 10 July 1926. She was the daughter of Clark Brown and Mary Anderson. Frances A. Brown married Donald Frank Decot, son of Frank H. Decot and Blanche W. Schilling, on 4 November 1946. Frances A. Brown died on 18 March 2012 at age 85 Frances A. Decot, age 85, formerly of LaValle, died on Sunday, March 18, 2012 in the Reedsburg Area Senior Life Center. She was born on July 10, 1926 in Bloom City, the daughter of Clark and Mary (Anderson) Brown. On November 4, 1946, she was married to Donald F. Decot. Fran was a member of Holy Family Catholic Church in LaValle. She enjoyed crocheting and square dancing. Survivors include four children: Diane (Tom) Disch, of Greendale; Joseph (Shirley) Decot, of Cazenovia; Jean (Al) Harrison, of LaValle and Steve (Darnella) Decot, of Greenwood, IN; twelve grandchildren; sixteen great grandchildren; one sister: Marjorie (Ervin) Welch, of Elkhorn; many nieces and nephews; other relatives and friends. She was preceded in death by her husband, Donald, on May 27, 1995; two sisters: Wilma Carter and Norma Sutherland; two brothers: Lindford Brown and Orie Brown along with two infant brothers. A Mass of Christian Burial will be conducted at 11:00 A.M. on Wednesday, March 21, 2012 at Holy Family Catholic Church in LaValle with Father Lorin Bowens officiating. Interment will be in Oak Lawn Cemetery in LaValle. There will be a visitation from 9:30 A.M. until the time of the service on Wednesday at the church. The Hoof Funeral Home is serving the family. Name Variation Clark Brown was also known as Orie. Clark Brown married Mary Anderson.